The next big sales boost in the midsize premium segment likely will come from the arrival of the new Mercedes C class in 2021-22. 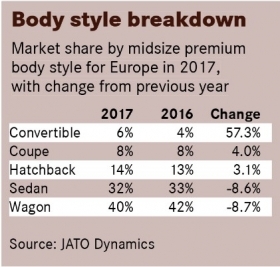 Europe's premium automakers are diversifying drivetrain and body style choices within their core midsize segment models in a bid to keep customers engaged when sales are stagnating. 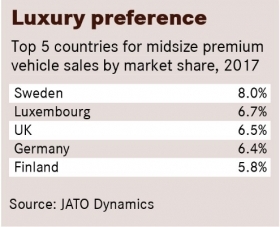 The midsize premium sector remains crucial to the dominant German brands of Mercedes-Benz, BMW and Audi. But last year's sales of just under 600,000 in Europe aren't expected to increase much in the next six years as the squeeze from SUVs continues, according to the analyst firm LMC Automotive. Only the new BMW 3 series, due to be shown this year, is expected to move the needle in 2019. But the increase that brings will be offset by the sales decline of the Audi A4 and Mercedes C class, said David Oakley, LMC's analyst for Europe, the Middle East and Africa. "The next real uplift in sales for this segment is set to come in 2021-22, when there will be a new generation of the C class," Oakley said. In 2022, sales in the segment will rise to 662,000, LMC predicts. 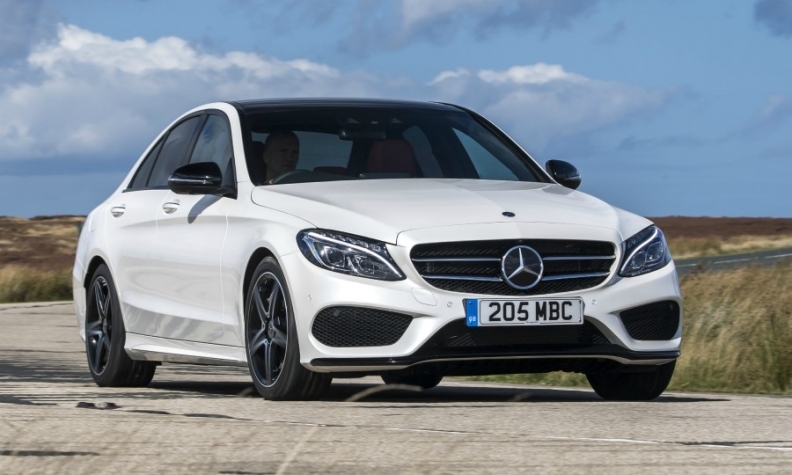 The launch of the next C class will be significant because the Mercedes was the best-selling model in the segment last year, helped by falling sales of the Audi A4. The BMW 3 series was third. Combine all body styles, however, and the sales table gets flipped. Add Audi's A5 Sportback five-door hatchback, A5 coupe and A5 cabriolet to Audi's A4 sales, and the numbers for the Volkswagen Group subsidiary in the midsize premium sector rise to more than 200,000, beating its two German rivals, according to figures from market analyst JATO Dynamics. 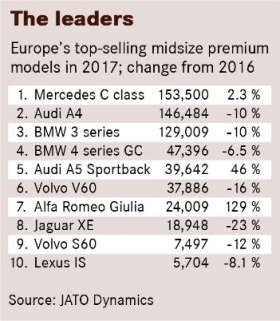 Add sales of the 3- and 4-series models and BMW moves into second ahead of Mercedes, which suffers from having a less diverse lineup in this sector. The German trio's dominance in the sector is assured through their brand strength but also because their challengers don't offer the same range of body styles. Having a station wagon, for example, is crucial for success in this sector – last year, 40 percent of sales were wagons, compared with 32 percent for sedans and 14 percent for hatchbacks. The rest were coupes or cabriolets. The new V60 wagon will remain Volvo's biggest challenger to its three German rivals. The biggest challenger to the dominance of the Germans is Sweden's Volvo, which this year launched its new V60 wagon. Volvo has switched its new midsize model to the brand's scalable product architecture (SPA) and later this year will show the S60 sedan version. The wagon, however, will remain Volvo's biggest challenger to the Germans in Europe. IHS Automotive predicts that by 2019, Volvo's V60 sales in Europe will reach 42,700, up from 37,886 last year. This story is from Automotive News Europe's next monthly magazine, which will be available to read on our iPhone and iPad apps.You will be able to download the new issue as well as past issues by clicking here. Sales of the Alfa Romeo Giulia soared 129% and propelled the sedan into the top 10 among midsize premium brands. Volvo also announced it will offer two plug-in hybrid powertrains in the V60 that will be pitched not just as fuel-savers but also at performance fans with a maximum of 386 hp for the T8 variant. That will help Volvo challenge its more powerful six- and eight-cylinder rivals despite having only a four-cylinder engine range. 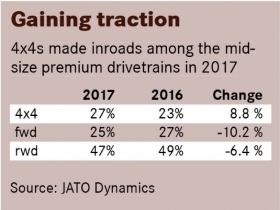 The midsize premium market is predominantly four-cylinder at 83 percent of models sold in the segment last year, JATO figures show. However, the number of models sold with six-cylinder engines grew last year by 14 percent to take a 12 percent share. BMW offers an entry three-cylinder model for its 3 series and 4 series, but interest is low – last year a little more than 6,000 were sold with those engines. 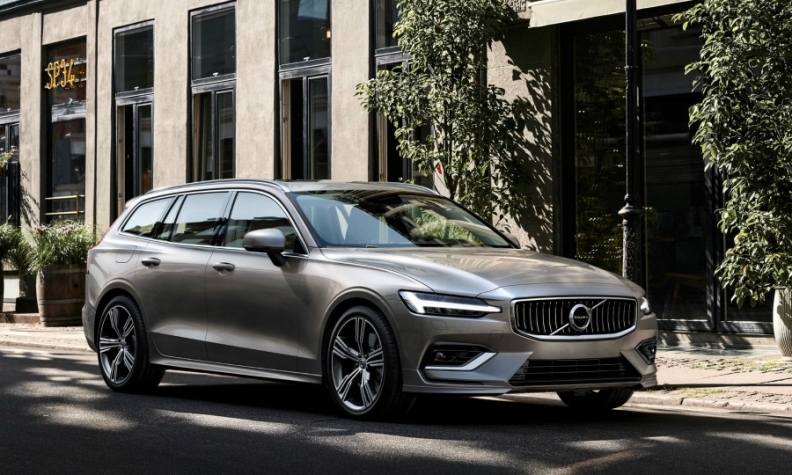 Volvo aims to boost its plug-in hybrid share of V60 sales to about a quarter from the 15 percent average in Volvo models currently offered with the electrified drivetrain. But demand for the powertrain within the sector is sluggish. Despite plug-in hybrid versions of the Mercedes C class and BMW 3 series being available, sales of models with alternative powertrains, including standard hybrids and plug-in versions, fell 15 percent in the sector last year to claim a 4 percent share. Diesel was still the preferred fuel with 66 percent of sales, but midsize premium customers are rapidly switching to gasoline in this segment, as in many others. Last year in the sector diesel sales fell 14 percent, while gasoline sales grew 32 percent to take a 30 percent share, up from 22 percent in 2016. The challenger with the biggest growth within the segment last year was Alfa Romeo. 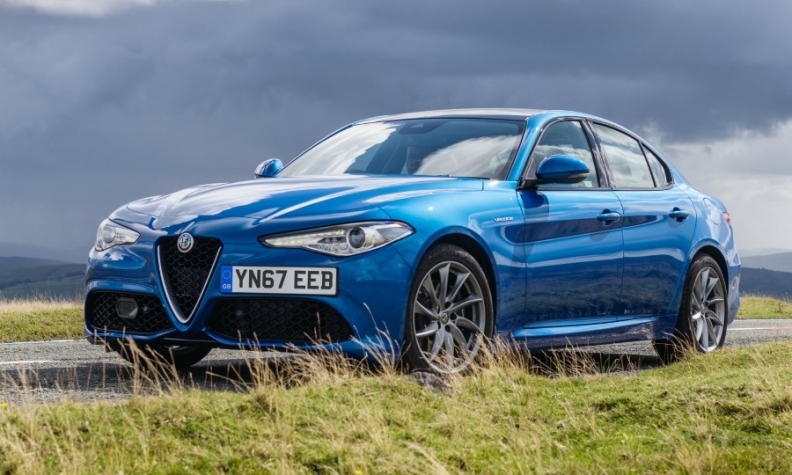 Sales of its Giulia sedan improved by 129 percent to finish seventh ahead of the fading Jaguar XE, which dropped 23 percent. Neither the Jaguar nor the Alfa offer any body style other than the sedan. Jaguar design director Ian Callum has said he sees no point in making an XE wagon when the biggest market is Germany, home to Jaguar’s biggest rivals. Last year in Germany, wagons accounted for 56 percent of all sales in this segment, with sedans at just 17 percent. By contrast, the second-biggest market for midsize premium cars is very different. Jaguar’s home country of the UK prefers sedans in this segment, accounting for 47 percent of sales last year. In a near reversal of Germany’s preferences, wagons stood at 19 percent of sales in the UK. Interestingly, both Germany and the UK like hatchbacks equally, accounting for 13 percent and 12 percent of sales, respectively, in those countries. European sales of the newly launched Audi A5 Sportback five-door hatchback increased by 46 percent last year to finish in fifth, just behind the equivalent BMW 4-series Gran Coupe. The growth of all-wheel drive was a significant development in the sector last year, with sales up 8.8 percent to account for 27 percent of all models in this segment. According to JATO, much of the growth came from 4Matic versions of the Mercedes C class as well as quattro models of the Audi A5. 5.